People still occasionally drive up our driveway or hop the locked fence to see what’s behind the gate and the keep out signs. It’s pretty obvious that 1. it’s someone’s home and 2. no, you’re not welcome to come snoop. We had someone selling meat stop by yesterday. Did you not see the pasture full of animals and the no trespassing sign? If you’re making a delivery or have been invited, come on. Otherwise, not so much. 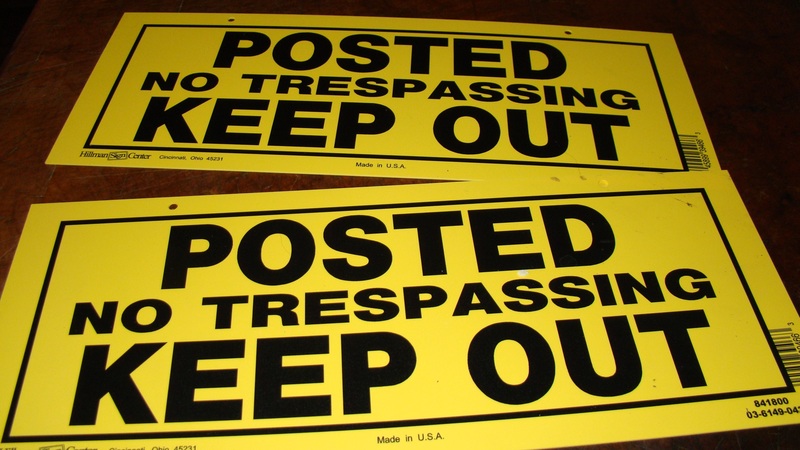 I think we need one of those “Trespassers will be shot, survivors will be shot twice” signs.